A pet dog was stolen during a burglary in Rushden yesterday morning. The offenders broke into the house in Highfield Road sometime between 7.30am and midday. The dog, a Jack Russell/Chihuahua cross called Patch, was taken from his crate which was in the lounge. His bedding was also taken. No other property was stolen and there was another dog in the house, which was not taken. 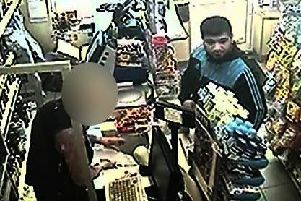 Witnesses, or anyone with information about the stolen dog or the people involved in the burglary, are asked to call Northamptonshire on 101 or they can call Crimestoppers anonymously on 0800 555111 or use the anonymous online form at www.crimestoppers-uk.org.